The original all-in-one sealer, glue and finish. Perfect for wood, paper, fabric and other porous surfaces, such as terra-cotta, plastic, foam and candles. It's quick and easy to use. As a glue, it dries clear and holds tight. As a sealer, it protects acrylic paints, stains, decoupage and fabric. 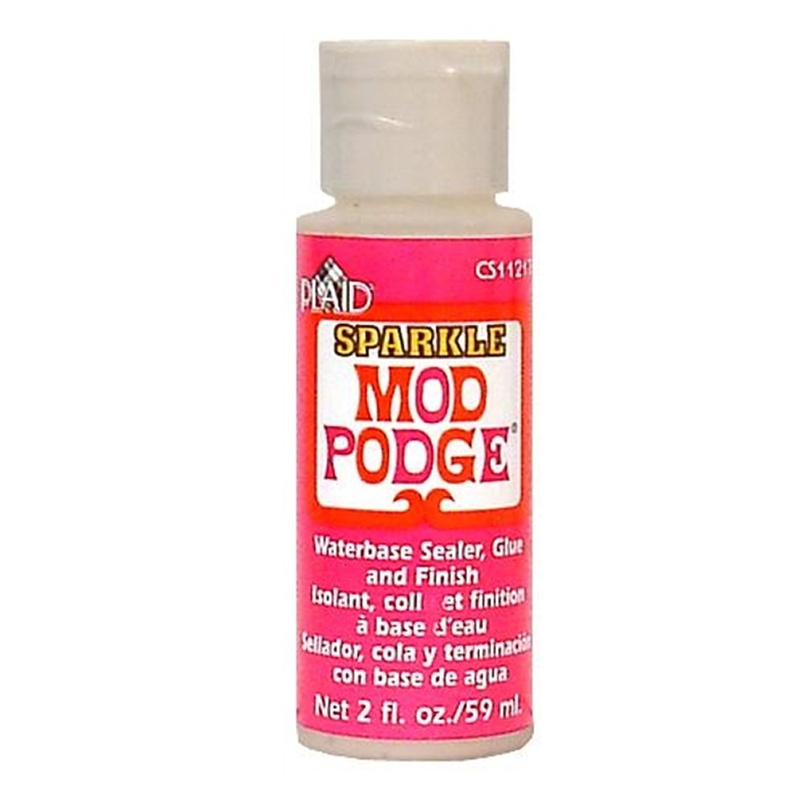 Adds a glistening finish with the added bonus of sparkle to any project. Use as Sealer and Finish : Apply thin coat on top of project Let dry.